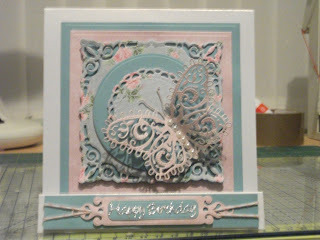 Annie's Crafty Attic: Happy Birthdays ... all 5 of them !! 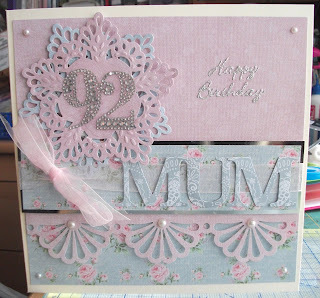 The first card to be made was for my Mother in Law who was 92 today. As her eyesight is not to good I wanted to make quite a 'touchy feely' sort of card and here it is, a few spellbinders later and I was done. 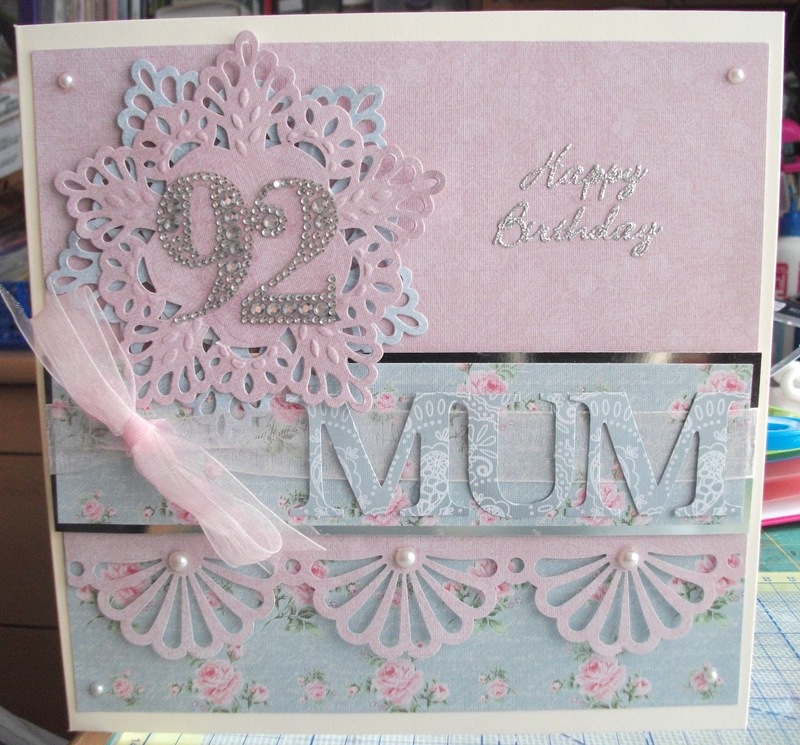 Mum in Law has phoned to say she has received her card and she loved it and knew immediately who it was from !! 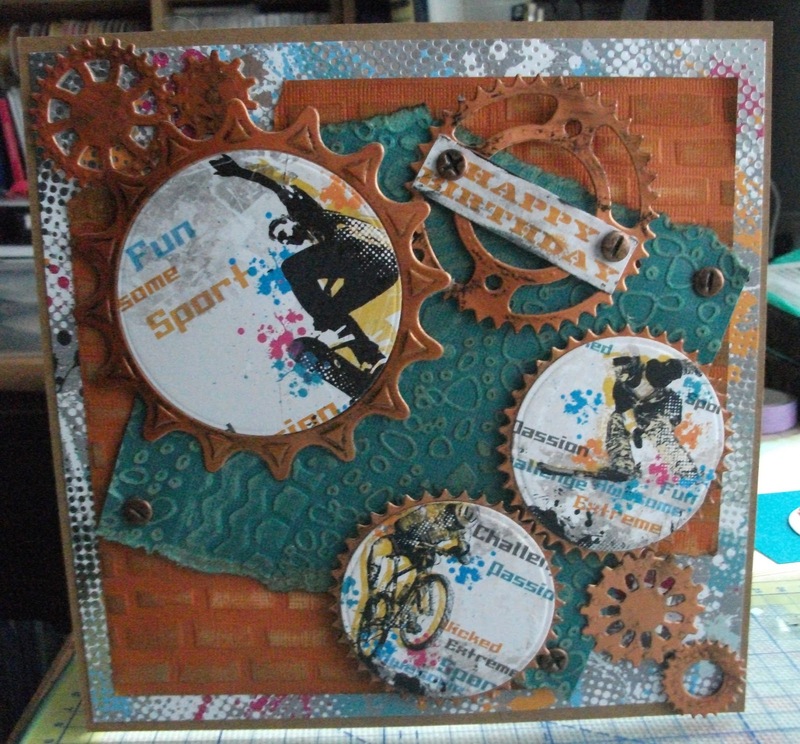 My next door neighbour seemed well pleased with hers when she caught me popping it through her letterbox this morning. The last one is a complete contrast ... a card for my sport mad grandson Sion, I really thought hard about this one and when I saw this kanban background paper had orange & turquoise splodges on it I knew I had to use it because he has a fave tshirt in those colours! !